Relevant photography keywords are necessary for healthy search engine rankings, and a key part of how to market your photography business to the right people at the right time, but they can be a real pain to deal with some of the time! People who are looking for stuff online use common keywords and phrases to search, and then our websites pop up like magic in the search results, right? For such a simple-sounding idea, there’s a surprising amount of confusion and misinformation on which keywords to use, how to identify them, where they should be used, and how often. Worse than that, photographers seem scared to death that one of Google’s angry animals, such as a Panda or Penguin, will pounce on their website and render all their hard work a waste of time by penalizing them for some cryptic wrong-doing. And no-one can afford to waste time in this frantically-paced day and age! 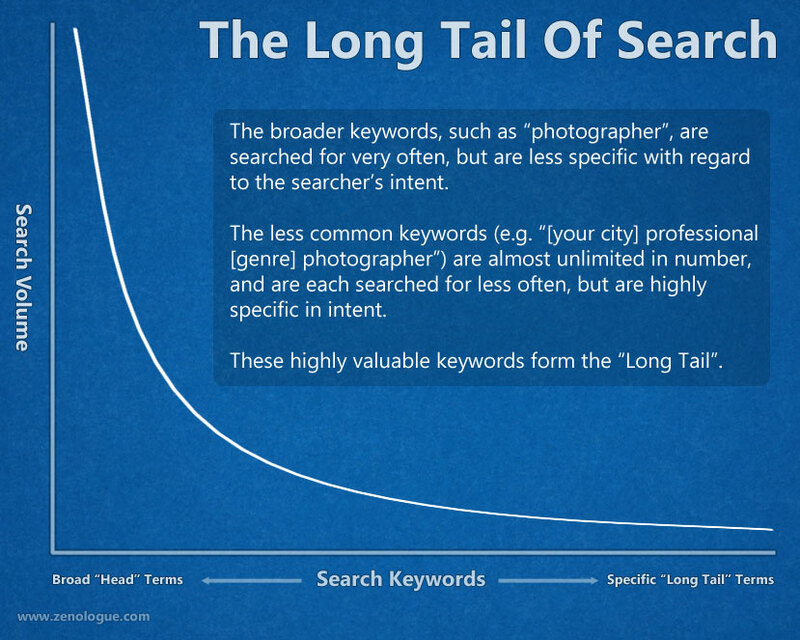 So what are the real answers about photography keywords? There’s so much information available about keywords, from all kinds of sources, but you have to be careful about what you read, and especially how you apply that information to your photography business! Most of that information is perfectly valid, but it must be taken in the proper context, because it might not specifically apply to your business. Thankfully, the amount of actual misinformation is quite small in comparison to the overall volume of available information, but a lot of what we do find is written for a very general audience. That means we have to decide how useful that information really is for a small business, such as a professional photographer. Likewise, if we’re not careful, we can easily get excited about some random strategy and start applying it en masse to our websites, not realizing that it could do us more harm than good in the long term. This is essentially what happened for a few years when everyone jumped on the article marketing bandwagon, and all manner of silliness ensued, with low-quality articles popping up all over web. Dubious practices became popular, such as article spinning (the “black-hat” method of creating similar articles with the same meaning, but using different words). This degraded the perceived quality of article syndication websites, leading to a lack of trust from web surfers in what Google was showing them int the search results. To combat the rising tide of Internet spam before we all became victims of a flood of superficial nonsense, Google unleashed their angry Panda on the world, sending webmasters into a mad panic. Suddenly, websites that had done very well from article marketing now found themselves writhing in the mud at the bottom of the SEO pond. Sadly, many photographers who had innocently sought paid help from some of the less-scrupulous SEO companies, also found themselves dealing with plummeting rankings, penalized websites, and a massive drop in new clients. That chaos happened because people failed to remember that SEO is all about helping Google to better serve their customers (searchers) by providing high-quality content that Google can then promote to their users. And, it happened all over again when Google’s Penguin stormed onto the scene, this time penalizing websites with over-optimized content (a far less easy thing for the average webmaster to fix, since it can involve dealing with other non-responsive webmasters). If only people would remember that search engine optimization is not a war against Google – they want to be your friend and help you succeed! So, with all this information out there about photography keywords, what’s a photographer to do? First, and foremost, keep things simple! With some exceptions, most photographers are small businesses, operating within a finite and well-defined geographical location. Therefore, the strategies and tactics that apply to a global or national business are not going to be the same ones that apply to you. 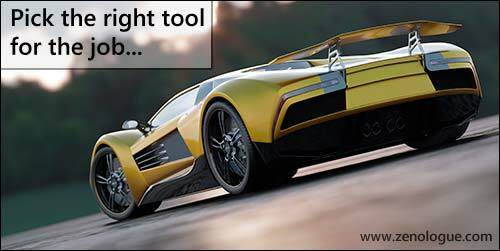 In fact, when it comes to SEO for photographers, you have a distinct advantage over the bigger companies. The Prime Focus Lab is aimed at helping photographers all over the world, not just in any one country or city. Last week, for example, I had detailed phone conversations and website reviews with photographers in Australia, Canada, the UK, California, and Ireland. I have a much tougher job ranking my keywords in the search engines, requiring an exhaustive content-marketing strategy that targets a great many photography keywords. There’s also a lot of turbulence involved, meaning that rankings are frequently going up and down. For you, it’s a much different story! To begin with, the range of photography keywords and phrases you need to rank for is far narrower. Some of the photographers I talk to get discouraged by such a small number of photography keywords and phrases, thinking that it somehow limits their options, but the truth is this is a great thing for you! For one, it keeps things simple. And, it drastically reduces the amount of work you need to do, especially with regard to your photography blog, as you’ll see later on. One piece of advice tells me I should choose the photography keywords I want to target and then use them everywhere on a blog post or web page. But, then another expert will say that Google hates too much repetition of keywords on a page. Which one of these is correct? This is a tricky question to answer, since both pieces of advice are correct – up to a point. FACT: If you want a page to rank in the search engines for a particular phrase or keyword, you should definitely know where to use your keywords and target the most strategic places in the content. FACT: Using your keyword phrases too often in your content, repeating phrases unnaturally, writing text purely to satisfy the search engines, or creating low-quality (content-poor) material is almost guaranteed to raise a red flag with Google. FACT: Google does like to see your keywords in certain places on a web page, and is smart enough to figure out the context of the rest without you having to belabor the point. This final tip for today is the most important, so don’t skip this section! One crucial piece of information you might not find out there is that there are three types of keywords. Head Terms: Sometimes called “primary keywords”, these are broad and very general (usually three words or less) that cover a wide topic. The competition to rank for these is often high, but possible to overcome, in a local market. Long-Tail Keywords: These keywords are usually three or more words, with specific intent and meaning, often signaling a readiness to buy. Competition is usually less, making them much easier to rank for. However, lurking between the primary (head) keywords and the long-tail keywords is another group that we can think of as secondary keywords. Your secondary keywords may not have quite the same well-defined intent of the long-tail phrases, but they are more specific than the primary keywords, and indicate a high level of interest in the topic. If you make this mistake, and then try to add your primary keywords to every page on the website (I’ve seen this done countless times already), you’ll quickly run into what we call “keyword cannibalization”. Google ranks web pages, not websites (although there are undoubtedly website-level metrics involved, we don’t to worry about those at this level). Each web page is treated as an individual piece of content, ranking for its own photography phrases and keywords. If we try to add the same keywords to every page on a website, in an attempt to rank higher, we’re essentially putting all of our pages in direct competition with each other, causing them to cannibalize those keywords – with the strongest contender winning the battle. Problem is – the winning page may not be the one you want! Think carefully about the hierarchy of the keywords you want to target. Consider which are your primary keywords. 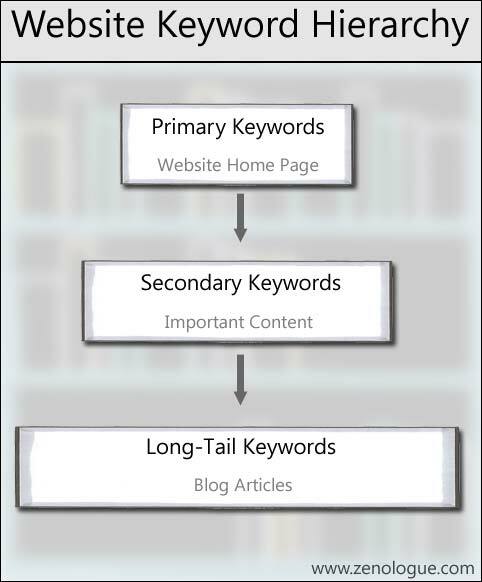 Then look at which ones are secondary, and which are your long-tail keywords. It helps to keep a spreadsheet with this information, so you always have the bigger picture to refer to when creating new content, plus you can easily figure out where in the big picture to insert new keywords as you discover them. Follow this simple photography keywords hierarchy to maximize your SEO and minimize keyword cannibalization. If you follow this pattern, and remember to create internal links between related content, you’ll be well on way to showing Google that you understand exactly how your business and website are structured, helping them to serve your most appropriate content to the people searching for you.